Isle of Wight councillor, Bob Seely, reveals through OnTheWight that he would be interested in standing for the MP role – with caveats. He’s run before, in Nottinghamshire and got close. Isle of Wight councillor for Central Wight, Cllr Bob Seely, has confirmed through OnTheWight that he would be ‘interested in standing’ for the role of Isle of Wight Member of Parliament (MP). He’s not trying to elbow Andrew Turner aside, but rather if a vacancy comes up, either if the current MP stands down, or when a second seat become available. Following Jonathan Bacon’s open letter to Cllr Seely, OnTheWight emailed Bob asking whether he was considering standing as a candidate for the role. “First, becoming the MP. Yes, like, many others, I would be interested in standing if there is a vacancy. “If there is a vacancy/vacancies, there will be many people standing, including very probably some MPs from the mainland. The world of politics is certainly not new to Bob Seely, also known as Robert W H Seely. Back in 2005, he stood as the Conservative candidate in Broxtowe, Nottingham(1), coming very close to winning the race with 37.2% of the votes (18,161) – just 2,296 behind the Labour candidate. He’s been a spin doctor for the Tories (2) and a member of the PR team at music channel MTV. Not to mention serving in Iraq in the Territorial Army. “Robert Seely is a PhD candidate at King’s College, London(3) and is a Research Associate at the Changing Character of War Programme, Oxford University. 16 Comments on "Bob Seely ‘interested in standing’ as Isle of Wight MP"
If we have to suffer another Conservative MP let’s at least get someone effective. There’s only one Conservative in the Council with enough ability and that’s Stuart Hutchinson. I agree that we need a unity candidate. I’ve been saying so for a while. However, I’m not used to being on the winning side of elections. Just once in 20 years of voting. Perhaps the problem in getting your pleas for a unity candidate heard Luisa is that it always rather sounds like you think that candidate should be you? Assuming that we wait until 2020 for an election (although I’d think May fancies her chances of a clean sweep next year and bookies offering 9/4 on it) the Island would have two new constituencies, this would make Turner (if he decided to) have to apply to one of these. So both Turner and Seely could stand as candidates. 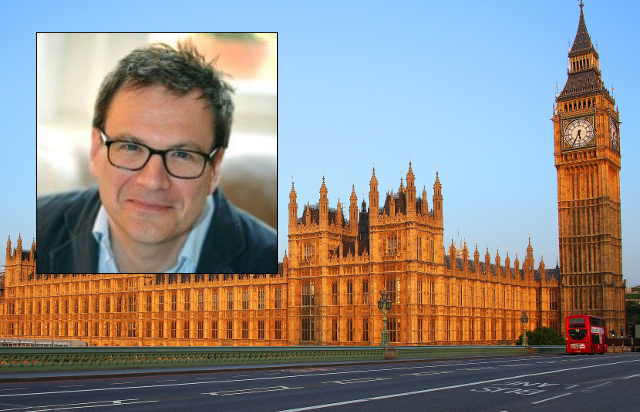 Stuart Hutchinson and/or Bob Seely – two great candidates for MP. Yjc two more great candidates for MP Councillors Whitehouse and Hollis they would be really good everyone loves them such nice people. AT will run again, and win. He didn’t promise not to, he merely suggested this term may be his last hurrah. I think even with two seats, Councillor Seely and ex councillor Pugh stand little chance of selection let alone election. It would be nice to get MPs who set the pulse racing with their dynamism. I find that reading Bob Seely on here has the opposite effect on me.